Handmade Keychains are available in many stores locally. 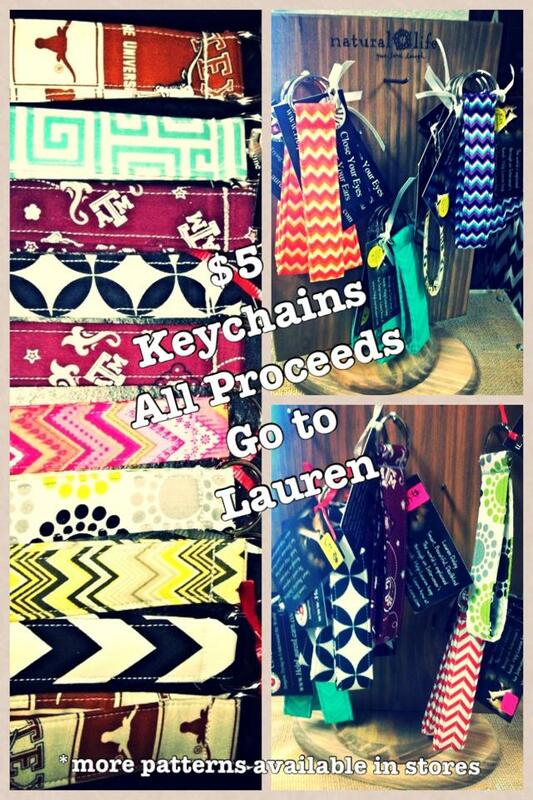 For only $5 you can show your support for Lauren and all proceeds go to fund her intervener! They make the PERFECT gift!